I received 2 sets of HND 3D nail wraps* about two weeks ago and I finally got a chance to use them last weekend. I got 2 designs: "Reflections" and "Think Of Me". Both absolutely beautiful! I tried Nail Rock wraps before and the results were ok, but I struggled to apply them. 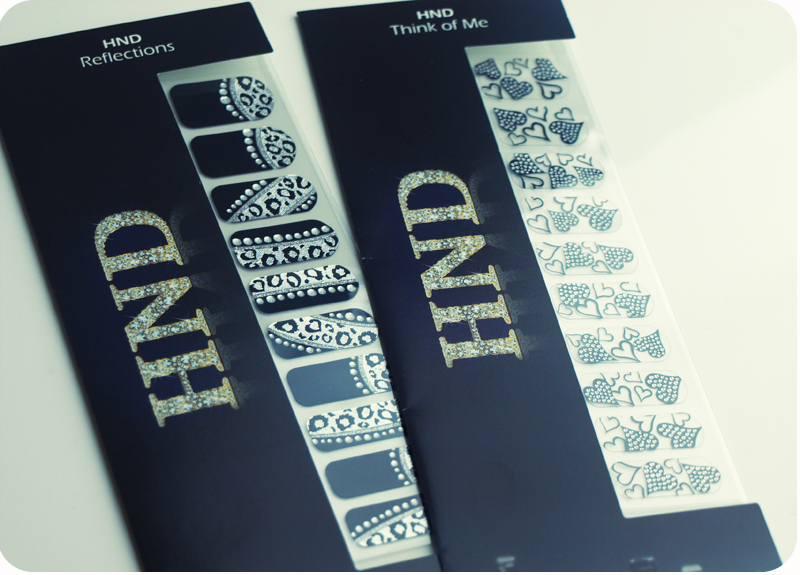 HND nail wraps are more flexible and much easier to apply. They are made of high quality vinyl and the application doesn't require any heat. It took me less than 5 minutes to do both hands and the final effect is just amazing! The 3D design makes the wraps look incredible and definitely has the wow factor. I literally couldn't stop looking at my nails, because they looked so pretty! 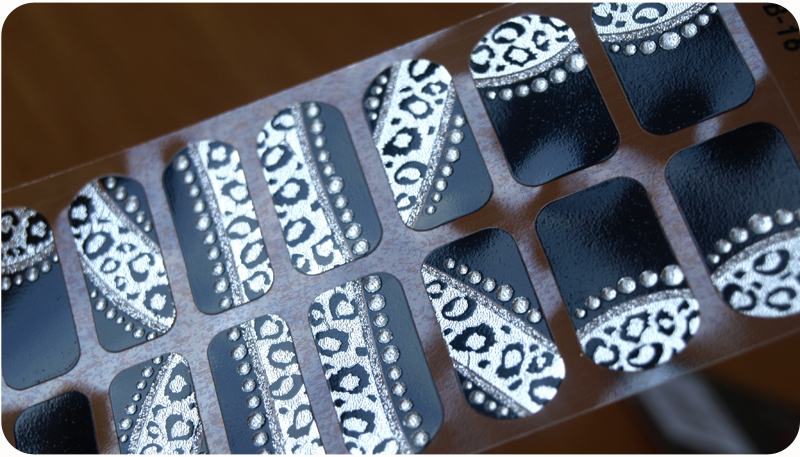 I think that nail wraps are perfect for a special occasion or a night out. I would expect them to be more expensive, but they only cost £5.50 and you get 20 individual wraps so it is enough for 2 full manicures. If you can't find the right size, you can simply cut them into a desired shape. It is very easy and the effects are AMAZING! 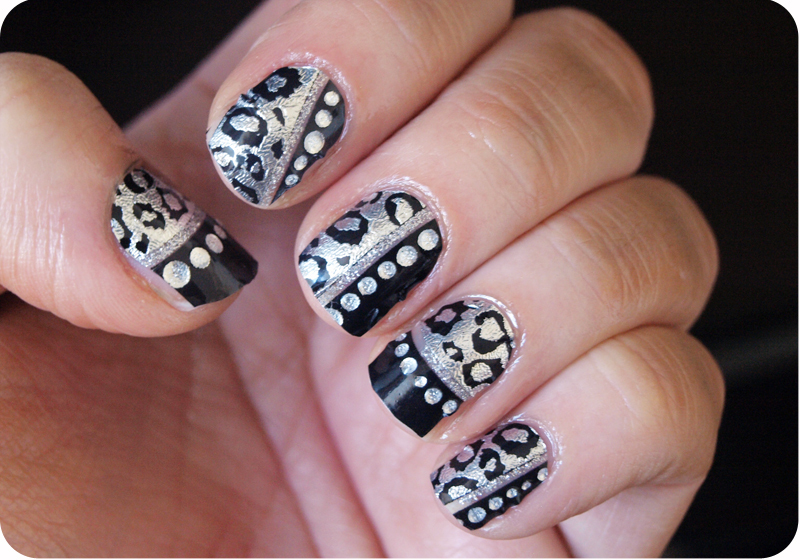 "An elegant and on-trend design with silver and black animal print - made textured with small silver diamantes. Perfect for an evening out or even to give a luxurious twist to a pre-holiday mani!" "Get flirty with these cute heart printed nail wraps. Perfect for that 'date night' or if you are feeling romantic!"